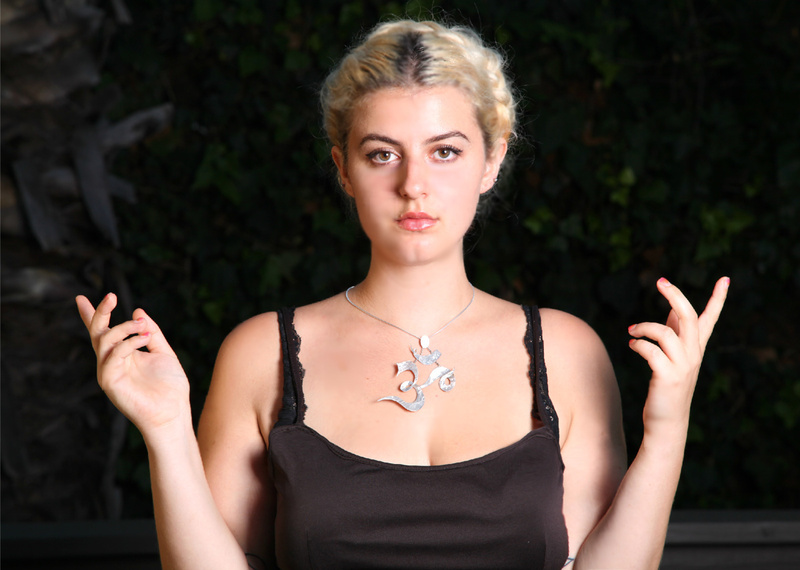 I designed the Om symbol pendant and earrings in honor of the Hindu tradition of the Infinite. Om is what existed in the past, exists in the present, or will exist in the future. It is any form that has a beginning and an end, that exists in space as well as time. I define the 3 elements of the Om symbol as follows ~ The round part at the top represents the Sun, Male Energy, and the Third Eye or Psychic Chakra. The crescent, represents the Moon, Female Energy, Water and Life. The large, flowing, curved part at the foundation of the symbol supports the upper two parts and represents God, who permeates All. OM represents the Breath that is the Sound of the ongoing Creation of the Universe. The Om pendant is hand cut, hand soldered, and hand brushed. 3 3/8" X 4 1/8"
I have also made the design in a smaller size pendant, a large pendant with an Ammonite fossil, and earrings with sterling silver lever backs.